In recognition for his continuing technical contributions to the Global Positioning Systems (GPS) spanning 35 years—he’s one of the fathers of GPS. A. J. 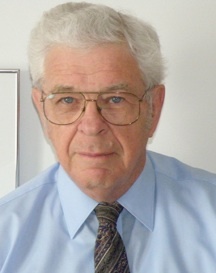 Van Dierendonck worked on fundamental innovations required to realize GPS as a worldwide utility, including designing GPS receivers and designing the broadcast navigation message, which is largely the same message that is received today by millions of GPS receivers that are manufactured annually. 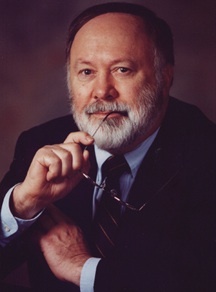 He also was an instrumental contributor to the development of high-precision receiver technologies and standards for differential GPS systems now in widespread use. In recognition of his outstanding and distinctive accomplishments in the field of electrical engineering, specifically in regards to scholarly contributions, technical contributions, and professional leadership in the Microwave CAD Industry. Throughout his career, William “Bill” Childs has worked at the Engineer Naval Weapons Center and Comsat Corporation and their subsidiaries. He then cofounded EEsof—a leading microwave CAD vendor—and later sold the company to Hewlett-Packard in 1994. He retired in 2000. In recognition for significant early career accomplishments that distinguish him from his peers in software and electronics for machinery used in agricultural research. Andrew Jenkins is an electrical/software design engineer at ALMACO. He recently led a team of engineers to develop a new planter control system that has changed the way the agricultural research industry evaluates plots. Jenkins’ planter is now recognized within the industry as the top seed planter. In recognition for significant early career accomplishments that distinguish him from his peers in the field of optical network research for curriculum development in computer networks. Srinivasan Ramasubramanian is an associate professor at the University of Arizona, Tuscon. He is being honored for his outstanding research contributions in the areas of optical networking and wireless networking, including wireless sensor networks. In recognition for significant early career accomplishments that distinguish him from his peers in the field of network security and quality of service, and for associate curriculum and laboratory development. Aaron Striegel is an associate professor at the University of Notre Dame. In just seven years as a professor, Striegel has originated a new course, introduced new material and equipment into old courses, graduated eight master’s and PhD students, secured a prestigious National Science Foundation CAREER Award, and more. Striegel’s research focuses on reducing the redundancy in network traffic, and he has made substantial contributions in the areas of quality of service support in the Internet through aggregated scheduling, balancing reliable replication, and through efficient admission control schemes. In recognition of exemplary service to the department for his ABET accreditation preparation work, service on the ECpE Honors and Awards Committee, and, as expressed by alumni, the career success of students he advised. A university professor emeritus in the department, Edwin C. Jones, Jr., was honored for his service to the department as expressed by the alumni whom he advised and evidenced by their career success. This year, several alumni who he advised as students have gotten together to try to establish an endowed scholarship in his name. The alumni are still raising funds for the scholarship.